OLD PARKED CARS. : 1984 Buick Century Limited Olympic Edition. 1984 Buick Century Limited Olympic Edition. The mismatched hubcaps, and especially the one that is one those spinner caps is perfect. The malaise of the US Auto Market in the 80's on display for all to see. 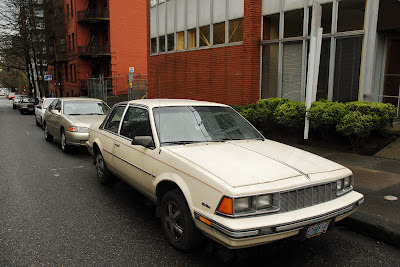 That's not an Olympic edition, which were white and had special wheels and trim, as well as a gold-color emblem on the trunklid featuring the Olympic rings. 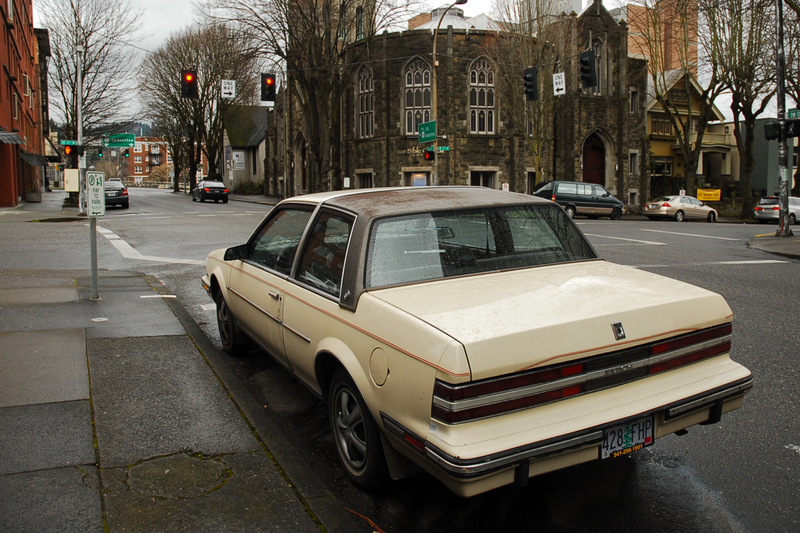 This is just a regular Century coupe with a vinyl half-roof (and a snazzy mix of aftermarket wheel covers!). 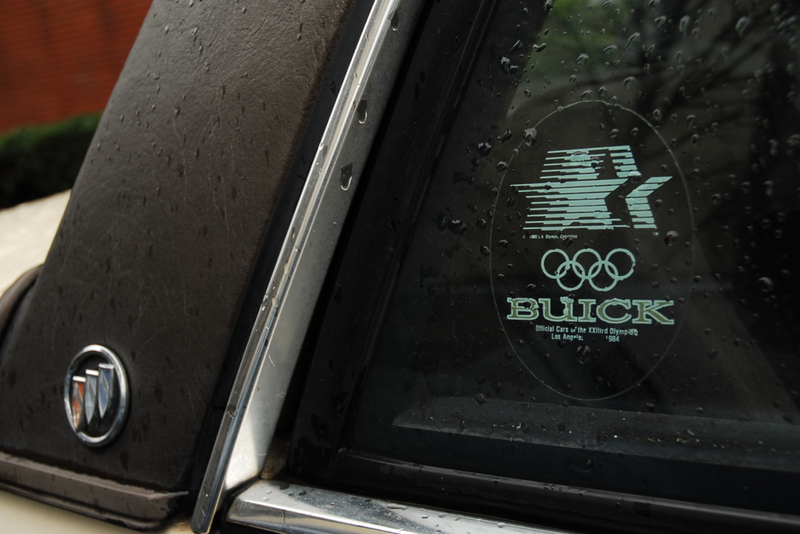 All 1984 Buicks got the Olympic decal in the window, as Buick was an advertising sponsor of the televised games. 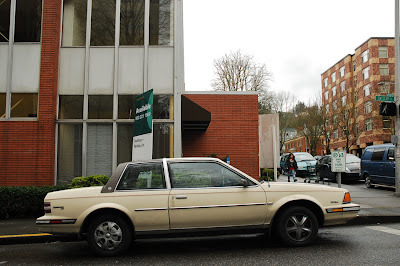 Funny how this car is at the exact same spot on Google Street View. Fun web site. Thanks. look at the sheer size of that quarter window. look at it!